Dental and Needle Phobias are the top phobias in the UK and affect a huge percentage of the population. 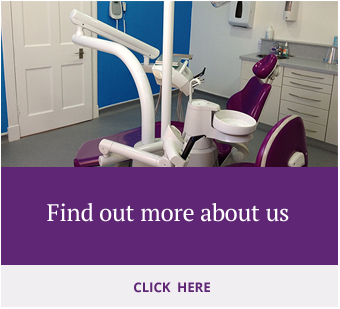 At Bridge Dental Care we focus on making your experience as relaxed as possible. For some patients the very process of walking into a dental surgery can be daunting and frightening. Initially we will chat to you and discuss your fears and concerns before we attempt to examine you. Some patients prefer to sit in the family chair prior to moving onto the Dental Chair. We have even examined patients standing up. It's all about what makes you, the anxious patient, most comfortable and trying to build up your trust. You are in control at all times and we will not force or persuade you to do anything you are not comfortable with. For a chat and consultation please call and inform the staff of your concerns and phobias and they will do their upmost to accomodate you.